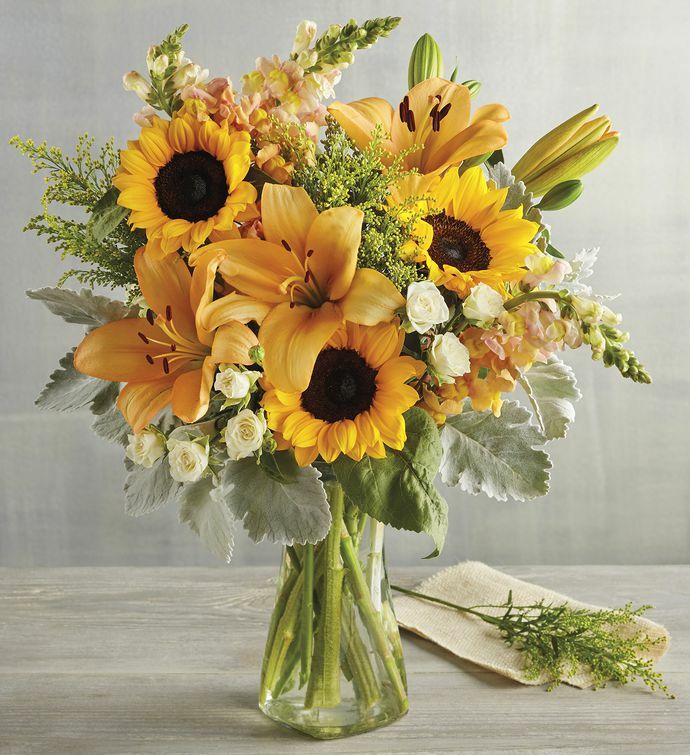 Brighten someone's day with a sunny floral assortment. This cheerful bouquet of orange snapdragons, white spray roses, sunflowers, peach lilies, goldenrods, and dusty miller foliage arrives in an elegant clear glass vase. Give this thoughtful gift of beautiful flowers to say "nice to meet you," "I'm thinking of you," "feel better," or simply "hello."